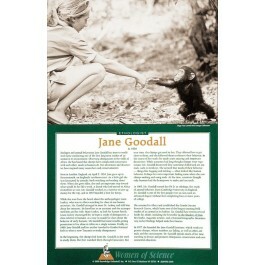 This poster of Jane Goodall is part of a series that focuses on great women scientists. The poster features a photo and biographical text. Jane Goodall is a British primatologist and anthropologist. She achieved worldwide recognition for her monumental 45-year study of chimpanzees in the wild. She was the first to discover that chimpanzees had the ability to make tools. Her work has been very influential in how humans view other species. 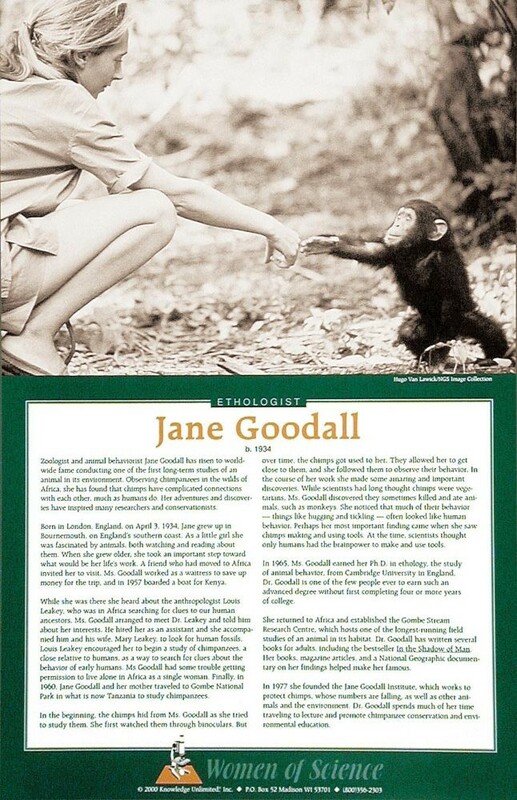 Goodall is the founder of the Jane Goodall Institute, whose aim is to protect chimpanzees and their habitat around the world.